Installing a new exterior outlet on a brick house. 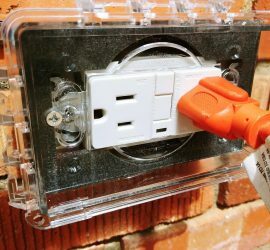 A GFCI outlet is installed inside a watertight enclosure and tied to inside wiring. 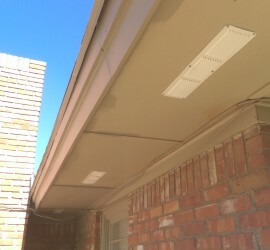 The steps to install new soffit vents on a house with traditional plywood soffit and wood fascia.